Well at least for this season, it is over! We’ll still be hoping, rooting for our Boys, but we have to face the facts that this years team, just doesn’t have what it takes to reach the top of the mountain. We have to accept reality and I apologize that it must be said. Is there any hope you ask? What makes you think that at this point of the season? First of all, we are what we are and right now that’s a 3 win team after eight games. What do you see that gives real hope? Does it mean there’s nothing to play for? No, not by a long shot. There is badly needed experience being earned for a squad that is as young as this team. We have a defense that is being groomed to be a really solid one, albeit MIA at times this past Monday night. We’ll get to that later. We need to examine the problems on the offensive side of the ball with great scrutiny. Find out who’s going to be an asset going forward and who’s not. 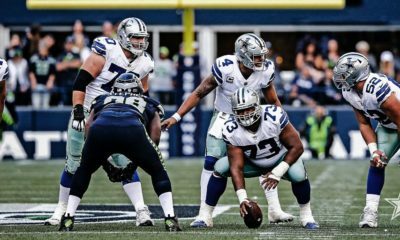 Find out whether or not we have quality depth on the offensive line or need to expand the search or draft players. To determine where the problems lie. There are some things we can rationalize such as the effect of losing Travis Frederick so far this year and its real and its fair to say that was a big loss, regardless of how well Joe Looney has fit in. Still not the same when you lose the best center in the game. We can moan about the losses of Witten & Dez, but we weren’t a great team last year with them. Realistically, we lose two All Pro caliber players and its very hard to replace that talent level, nor production. But we’re less of a team without them. Check out the video below of our rookie TE blowing an assignment on a very basic play, the counter trey. Should we have expected things to really be different? As fans we’re forever hopeful but we do have to look honestly and fairly at this squad and admit that its well short of being a top tier team. What we witnessed on Monday night was embarrassing and disgraceful on several levels. This video shows the inability to have everyone on the right page and execute plays. 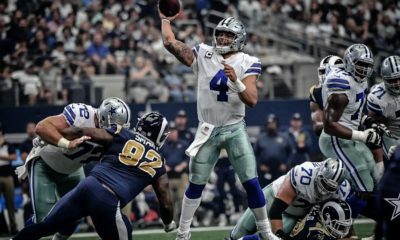 I’ve been particularly hard on Dak and the shortcomings are real, but he’s not alone. Can’t have guys blowing assignments, not knowing the plays, unable to handle and audible and process the adjustments is unacceptable in week 8. Those kind of mistakes are why coaches don’t trust rookies and also lose their jobs in the process. We’ve watched an offense that struggles more often it seems, than not. We’ve had receivers make key drops and that doesn’t help an already struggling offense. Offensive penalties have hurt way too many times, getting into difficult down and distance situations. As noted, the offensive line has struggled, not only this year but last as well. Effectively seeing two line coaches being terminated, with Alexander failing to last half a season. Linehan is taking a lot of heat because of the failures of the offense. There’s some legitimacy to that, but I’ve seen him do a great job in past years. IMO, he turned a rookie QB into a challenger for league MVP and offense wasn’t a problem in the Romo era with him as OC. A coordinator is fantastic when things are clicking and everything is rolling along, on either side of the ball. When things become challenging, we look for solutions, be it in game or the following week. Make adjustments and get the train back on the tracks! When I really sat down to analyze things, I focused on the WR’s. It hit me that many were talking at the start of the year that the true #1 wide receiver for the Cowboys, was Cole Beasley. The fan in me, says, ok, we’ll roll with that. Realistically and where he’s best suited is as a #3. A real stretch to make a guy at 5′ 8″ tall and weighing in at a buck eighty as your #1. Problem is we didn’t have a true #1 and the #2 is and may well be the young rookie, Michael Gallup. The team realized the problem and made a trade, that hopefully works out. I still have great reservations as I don’t see the move mattering if the QB isn’t going to make the throws. That’s why I was hoping for us making the move up to roll the dice on a first round QB. Staying the course with a low tier QB isn’t going to work out really well for this franchise. Wish it would! Dak’s a great competitor, but he’s regressed the last two years to the point that Blake Bortles and he, have similar stats over the last 16 games. Think we all don’t hold a high regard for Bortles, so where does that put Dak in assessing the 32 starting QB’s? The team released Deonte Thompson today and brought up Lance Lenoir in his place. That baffles me as the guy was tied for fourth in receptions this season. Regarding Monday nights fiasco, we blew great scoring opportunities early in this game. When your defense puts you in enemy territory you have to cash in. Blowing a FG and then turning the ball back over to them cost a shot at being up 17-0 before the wheels came off. 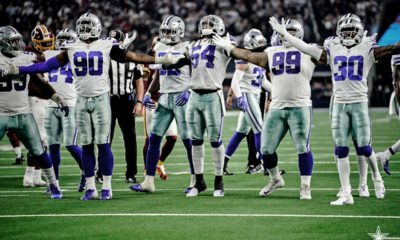 It was embarrassing to have them get back in the game and then blow the Cowboys out of their own building. Adding insult to injury was having their players collectively dance on the “Star” at midfield. Only one player had the stones to fight back and push them back toward their sidelines and that was Byron Jones. Of course a Jones! We can agree or disagree as to problems and when you’re 3-5 there are plenty of problems to go around. 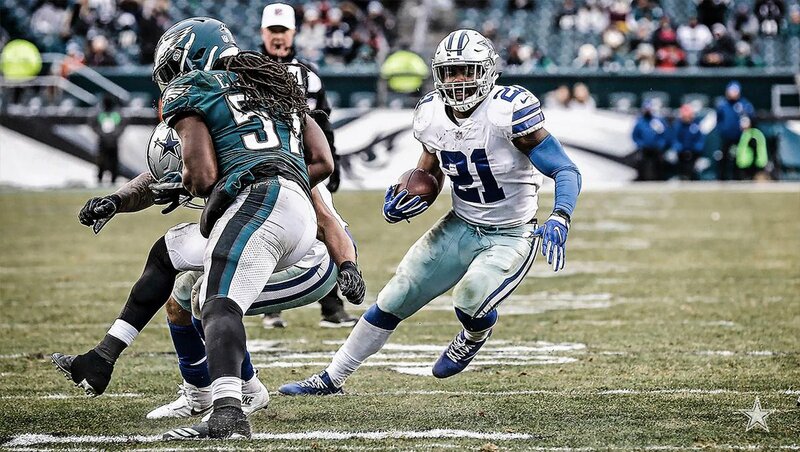 The inability to get Zeke going in an alarming number of games this year led to the line coach being sacked. Lack of drives is a root problem in limiting the touches that Zeke gets this year. Zeke only got 6 touches in the 2nd half in the Titans game, but when you’re unable to get first downs, the handoffs become limited. Same when you’re in a trailing position. The Titans were a soft touch on the schedule. Now we move on to a really tough stretch in the season, with upcoming games. Starting this weekend, we’re on the road in Philly, then onto Atlanta, with another game against Washington. Doesn’t get any easier with the now Dez less Saints, with a bookend performance against Philly finishing off the five tough games. None of those will be easy to say the least. 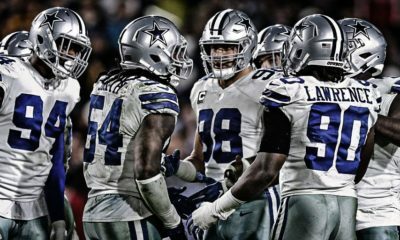 Can anyone really say the Cowboys deserve to be the favorites in any of those contests? The final stretch is against the Colts, Bucs & Giants. Do you feel really confident that those are three W’s? I’m not saying we won’t rally and win a few. There are enough good players on this team to win games. Based on what we’ve seen thus far I’m hard pressed to have confidence they’ll get the win in any of these contests. Before the season, I had the last three games squarely in our court, but that confidence is severely crippled. I’ll be shocked if there aren’t dramatic coaching changes if things go completely sideways the balance of the season.